The original idea came from this site and there are complete instructions there for the original size along with details for mounting the hardware. We did not have space for a long one and wanted to add embroidery. Ours measure only 20" each. 3. Hoop with stabilizer. Remove the template. Embroider the first letter. 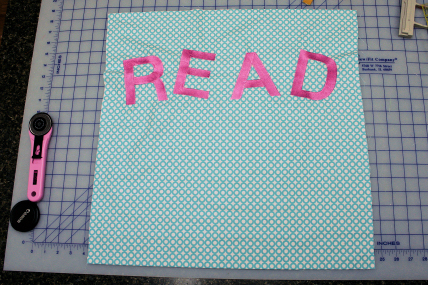 Repeat for each letter on the READ sling using the 4" X4" hoop. Remove excess stabilizer and press if needed. 4. Lay the embroidered square right side up on a flat surface. Place another square face down on top. Align raw edges and pin. 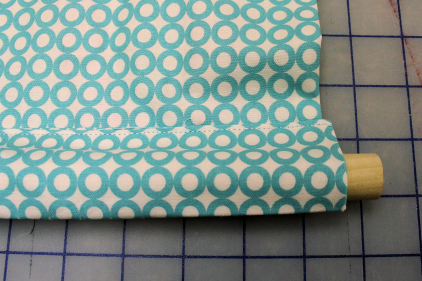 Using a 1/2" seam sew around leaving a 4" opening for turning. Trim the corners. Turn right side out and press making sure that the raw edges of the opening are pressed to the inside. 5. Lay back on table face down with top of the embroidered words towards the top edge. Fold down about 2". 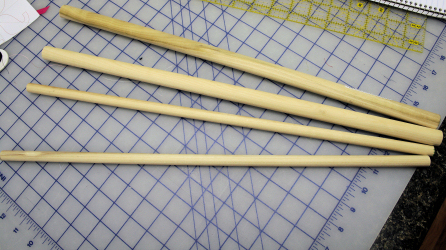 Sew 1/8" from open edge to create a pocket for the dowel rod. 6. Repeat for the bottom edge. 7. 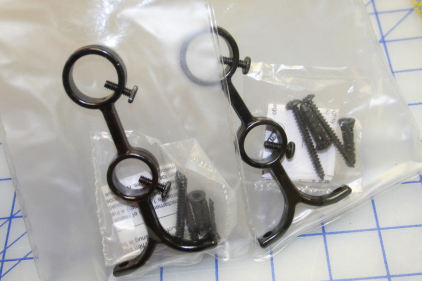 Mount the hardware, insert the dowels into the pockets and mount. 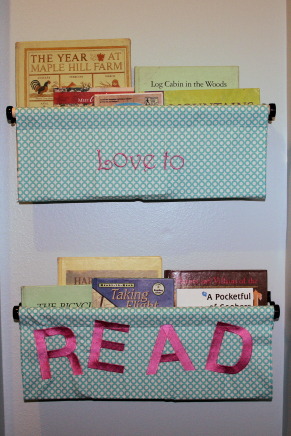 Do it all again for the second sling and you have a great place for books. 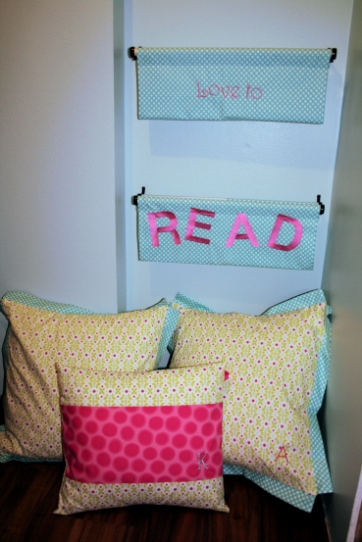 The girl's reading nook looks like this so far. Just needs some curtains and a rug to finish it off. And more library books of course. Click here to download the PES files for the Love to and READ. I only have PES for these but if you take them into Alphabet Xpress and resave them in most home formats if you need another one for your machine. If you missed the flapped edged pillows there is a tutorial here. The girls love these for silent reading time.